The Turner Classic Film Festival is this weekend and film buffs from all over the world will descend on Hollywood to celebrate the history of cinema. Theaters up and down Hollywood Blvd. will showcase classic movies giving fans a chance to experience films both well-known and obscure in a way they might never have before. 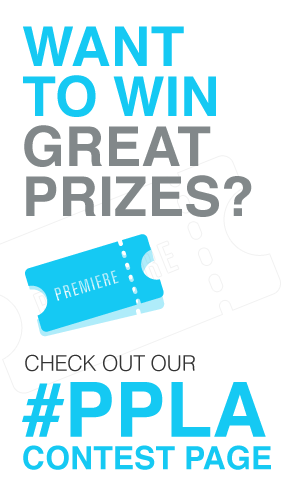 With so many choices Press Pass LA picks out our top picks for the very best of the fest. Remember to get to each event early because seats are first come first served. Four of Batman’s most fiendish villains join forces to conquer the world in this feature-film spin-off of the series that brought camp style to television. Originally, the feature was planned as the series’ pilot but when ABC moved up the airdate, it was put on hold and filmed after the first season. 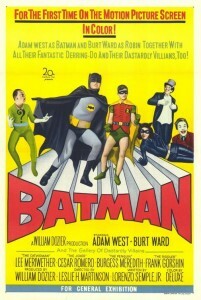 The original cast is there, including Adam West as the most skillfully deadpan of all Batmans, Burt Ward as Robin, Alan Napier as Alfred, Neil Hamilton as Commissioner Gordon and a trio of wise-cracking villains—Burgess Meredith as The Penguin, Cesar Romero as The Joker and Frank Gorshin as The Riddler. Baby Rose Marie and George Burns and Gracie Allen. Both Adam West and Lee Marriweather will be in attendance. One of the best and most important American films, this semi-autobiographical drama sheds light on the lives of inner-city youth. A single mother (Angela Bassett) sends her son, Tre, to live with his father (Laurence Fishburne) in South Central L.A. Years later, the teenage Tre (Cuba Gooding, Jr.) is on the way to a promising future when the area’s gang violence threatens to pull him in. This was the first feature written and directed by John Singleton, who based the script on his own youth and modeled Fishburne’s character on his father. Director John Singleton will be attendance. French archivist Serge Bromberg presents one of the greatest finds in film preservation history at this special screening featuring a collection of slapstick shorts including The Battle of the Century. Long known for containing one of the most acclaimed pie fights in film history, The Battle of the Century is actually the tale of Oliver Hardy’s attempts to make money off failed prizefighter Stan Laurel by setting up an accident that leads to the classic pie fight. pie-in-the-face gags were a staple of early silent comedy, but were so overused top clowns like Buster Keaton eventually refused to use them. Archivist Serge Bromberg will be in attendance. 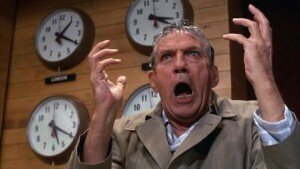 Though filmed in the 1970s, this satire of the news media still feels relevant today. From the time that television was invented, it didn’t take long for entertainment executives to take over news programming and screeching prophets—who make the film’s Howard Beale seem almost calm by comparison—to dominate the airwaves. Cinema legend Faye Dunway will be in attendance. To see the complete schedule of 2016 Turner Classic movie festival visit filmfestival.tcm,com.